Make a good impression with our custom school certificate covers. Our school certificate covers make a statement, and give the polished, honorable look you want. We carry three different types of school certificate covers?classic flexhide certificate covers, deluxe padded leatherette certificate covers and certificate presentation folders. Our classic flexhide certificate covers come in two standard sizes and seven different colors. Customize your school certificate covers with up to two lines of gold or silver foil text on the cover. Add corner pocket ribbons for a lasting, finishing touch, and choose from 19 different colors. Our deluxe padded leatherette certificate covers also come in two standard sizes and 10 different colors. Customize your school certificate covers with up to two lines of gold or silver foil text on the cover. Add corner pocket ribbons for a lasting, finishing touch, and choose from 19 different colors. Inside covers can also be personalized with a team roster, or left plain. 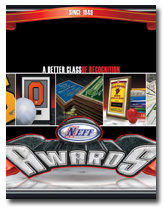 Certificate presentation folders are an economical way to dress up certificate awards. Choose from plain certificate presentation folders, or customize them with one- and two-color imprint designs and logos on the front. Certificate presentation folders have pre-cut slits at the corners to hold certificates in place. Not what you had in mind? Take a look at our full collection of school award certificates or custom school awards. View our School Award Catalog!